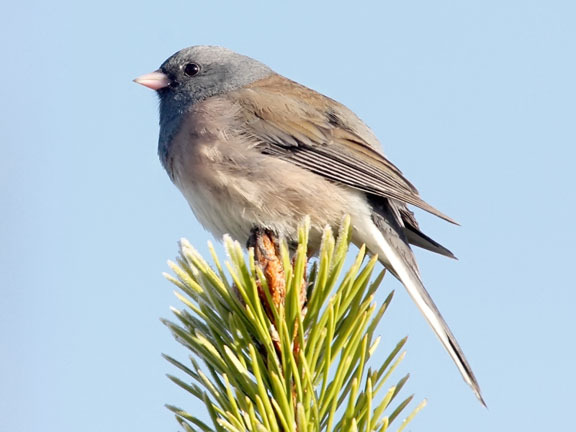 There are only two types of Juncos found in North America. 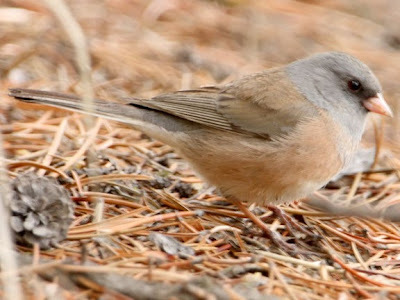 There is the yellow-eyed junco, which is found in Mexico and southern Arizona, and the dark-eyed juncos, which are found almost every place else across the continent. Dark-eyed juncos have several different color variations which is fun but can be confusing to people who are new to birding. Even through they look different all 4 birds in this post are dark-eyed juncos. The most common coloration is the slate-colored, which is pictured on top. These juncos breed in Canada, the north eastern United States and the Appalachian Mountain region. They winter through out most of the US. This is the only junco that is regularly found in the eastern half of the continent. These are the type that we see here in southern Minnesota during the winter. Many of them breed in the northeast portion of the state. The second photo is an example of a pink-sided. The pink-sided breed in the Wyoming, Idaho, Montana area and winter from Colorado south down into northern Mexico. The bird in the photo above looks similar to the pink-sided but it has a darker head and pinkinsh brown flanks. 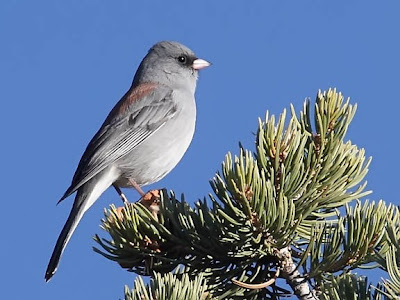 This is an Oregon dark-eyed junco. They breed in western Canada and the west coast. 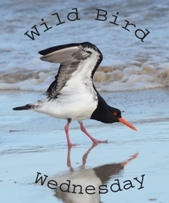 Birds that breed in Canada migrate to the western half of the US for the winter. This last dark-eyed junco is an example of a Gray-headed variety. They breed in Colorado, Utah, Nevada, and New Mexico and winter in southern Arizona, New Mexico and northern Mexico. They look very similar to the red-backed variation which is found in a smaller range in Arizona and New Mexico. There is one last variety, the white-winged dark-eyed junco which I still have left to photograph. They are found around eastern Wyoming, western South Dakota, Colorado and New Mexico. Hi Jeff Great to see the same bird looking difference in the shots. Nice birds - I can remember having to ask "what are they?" to another birder when I saw these in a car park many, many years ago. 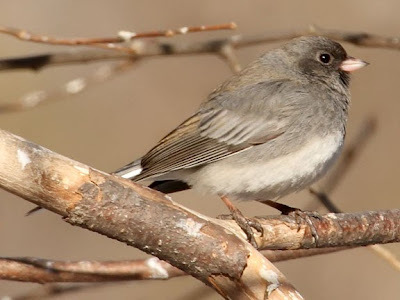 I love dark eyed juncos, they are one of the first birds that I could identify. Lovely post. Never noticed such variation, but they're one of the common 4 or 5 birds we have all winter. Then they seem to totally disappear through the breeding season and return to us in the fall. Difficult to tell them apart! But you can do that and that's amazing!